Like this? Then share it on Facebook! Eczema is one of those mysterious skin conditions that no one seems to know a whole lot about. Some scientists believe it’s an autoimmune disease, where the body is attacking imaginary invaders on the skin. And some believe that it’s a Vitamin D deficiency. But let me tell you what it is not. It’s not contagious, and it’s not just dry skin. Personally, I think the cause has something to do with a defective gene. Most people who have eczema also have other similar tendencies, one of them being GERD (gastroesophageal reflux disease). They also tend to have pretty bad allergies, and also KP (keratosis pilaris), among other things. And since scientists are now saying that some studies show that eczema sufferers have a vitamin D deficiency as well, that just keeps pointing the finger at a genetic defect. Now the problem is to find which one. The most common form of eczema looks like a red rash in a circle and the skin is flaky, kind of like dandruff. 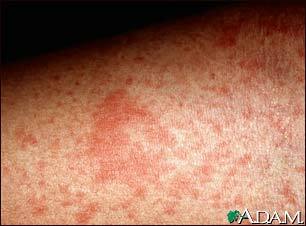 But eczema can also look a lot like other rashes, which makes it really difficult to diagnose. For example, my son’s eczema sometimes looks like just really dry skin in an irregular shape. Sometimes it shows up on my arms as prickly bumps, similar to KP (keratosis pilaris, which also runs in our family). On babies, it also can look a lot like diaper rash. Since it exhibits itself in such a wide range of ways, it is often misdiagnosed. Unfortunately, some of the treatments for other ailments are painful if it’s really eczema. For example, eczema is sometimes misdiagnosed as KP (keratosis pilaris) since one of the forms looks almost identical to it. One of the treatments for KP is Urea, which helps the skin exfoliate faster to get rid of the keratin buildup. That is the opposite that you want to do for eczema, not to mention that the urea burns more than you can imagine if it’s really eczema. Growing up, I remember scratching until my eczema bled and my mom slathering me with the ointment that the doctor prescribed to no avail. Mine was so bad that people would stare if I couldn’t cover it up. Luckily, the doctor was able to identify that it was eczema, but there wasn’t much he could do about it. Unfortunately, there was only one treatment back then. And that one didn’t work very well. The only thing my mom could do to soothe my dry itchy skin was to let me soak in oatmeal baths for hours on end. Update 12/2/2010: A lot of people have emailed me asking if I’ve found a good treatment since I’ve experimented with so many. I find that the best combination for my skin is BC Spa Body Moisturizer with A & D ointment (the clear one, not the creamy) over it. 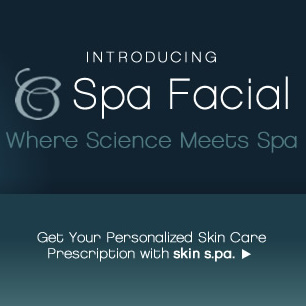 The BC Spa Body has antioxidants and is specifically formulated for skin conditions like eczema and psoriasis, and the A & D ointment has Vitamin D which is what many suspect is lacking when someone has eczema. For my face, I make sure to use BC Radical Hydration twice a day. It’s a light serum, so it doesn’t clog my pores like the heavier moisturizers do. Amazing web site! I haven’t found pmispa.wordpress.com before in my surfing! Nice page, I hadn’t noticed pmispa.wordpress.com till now in my surfing! Continiue the great work!